The AvantaPure reverse osmosis (RO) system offers the highest quality drinking water when used in conjunction with the AvantaPure household water conditioning system. AvantaPure uses the same cutting-edge reverse osmosis technology as the two largest bottled water manufacturers in the United States, just on a smaller scale. 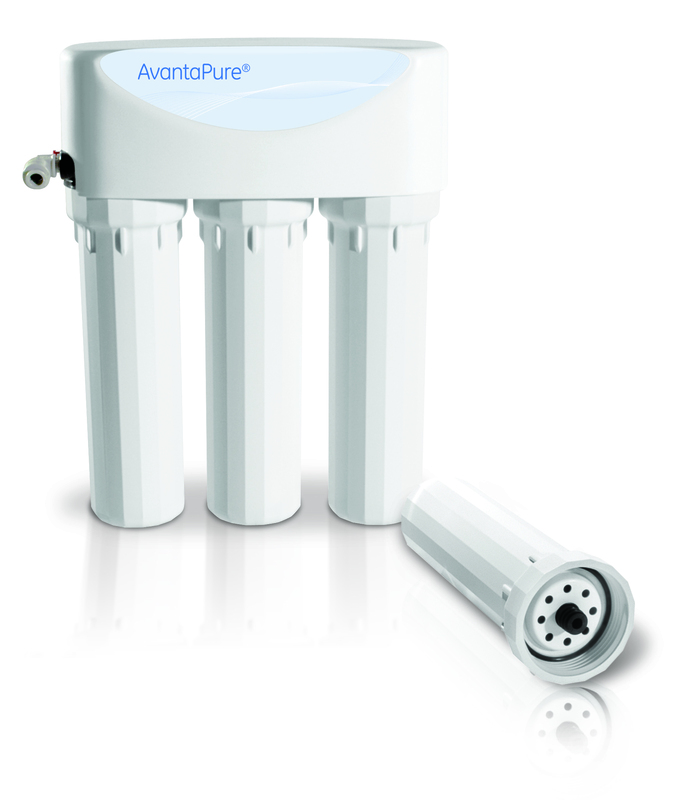 The AvantaPure RO fits conveniently under your kitchen sink, operating quietly and automatically – 24/7. With AvantaPure, you can be certain you’ll always have fresh, clean, purified drinking water at your fingertips. AvantaPure flters your water at a molecular level by directing pressurized water through a series of flters and forcing it through microscopic holes within the semipermeable RO membrane. 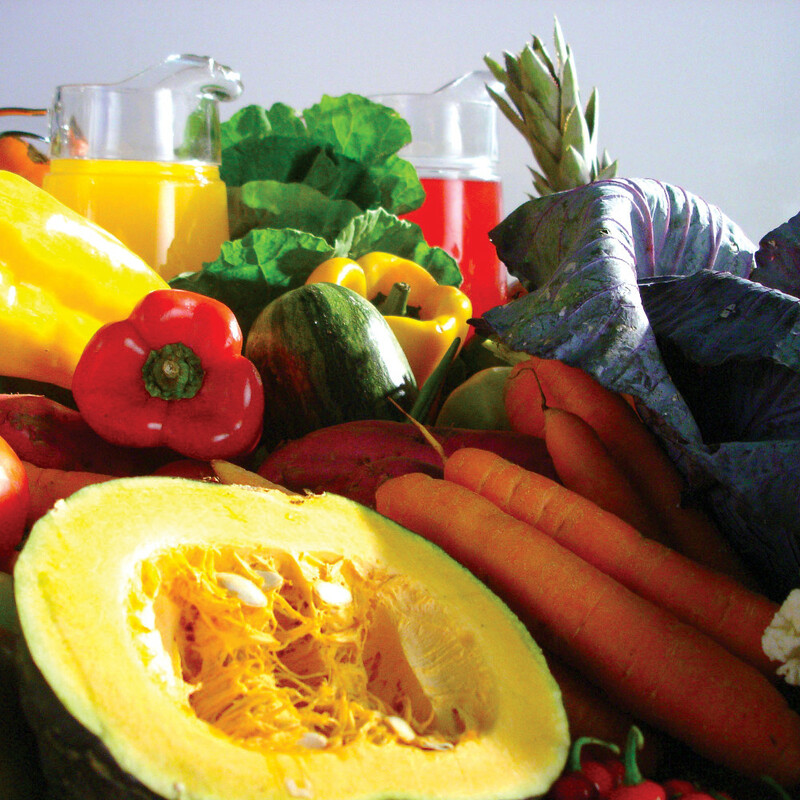 Vegetables cooked in RO water retain their color and nutrients. 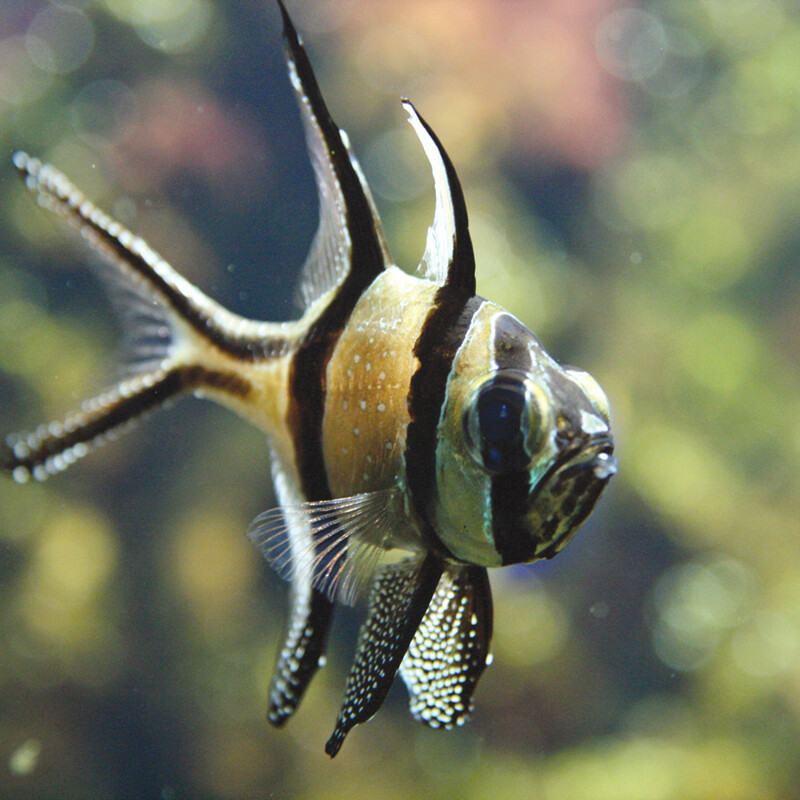 Purified** water for fish aquariums prolongs life and reduces cleaning cycles. 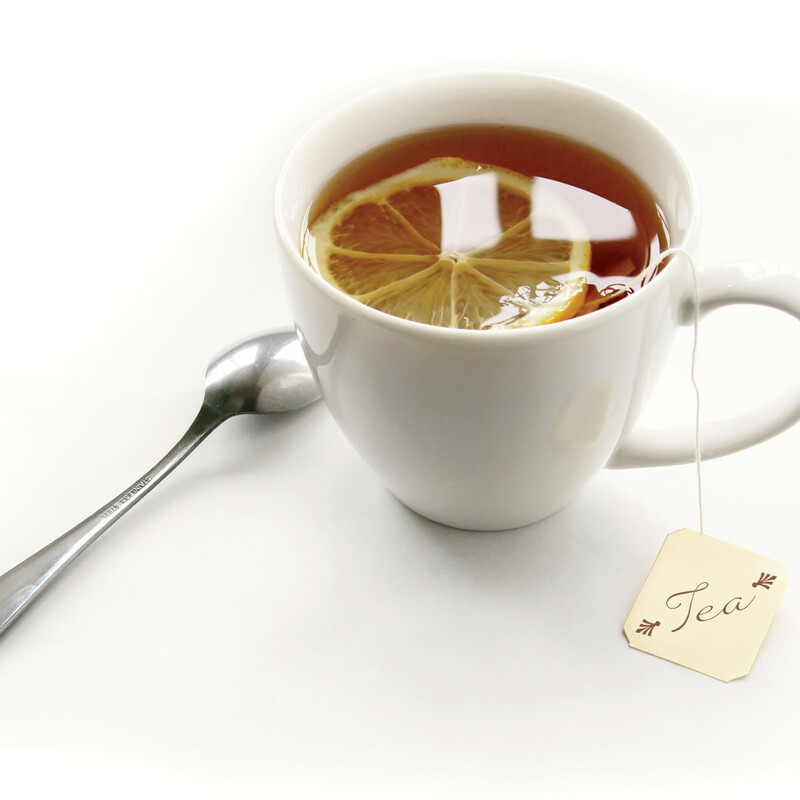 Reverse Osmosis improves the taste of coffee, tea, juice and other water-based drinks. 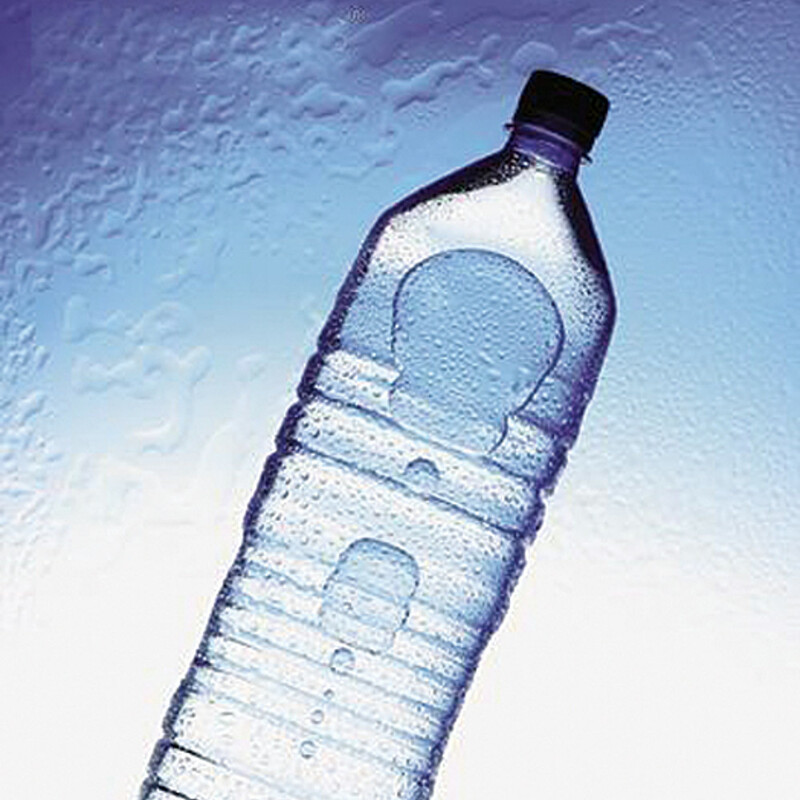 End your family’s reliance on expensive bottled water. Enjoy incredibly clear, fresh-tasting ice cubes. Form meets function with AvantaPure RO’s patented high-tech manifold, which internally directs the ﬂow of water through each filtration phase. 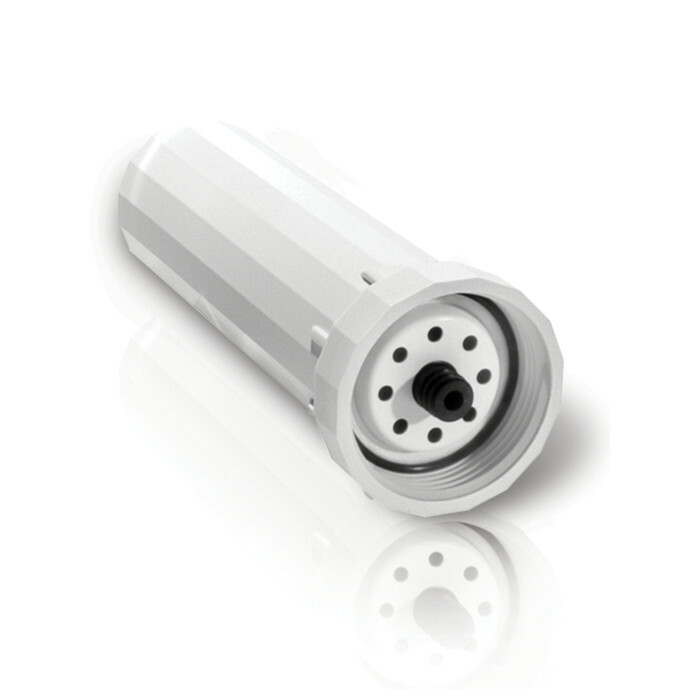 The design simplifies as it enhances by eliminating the need for individual external connections between filtration stages. 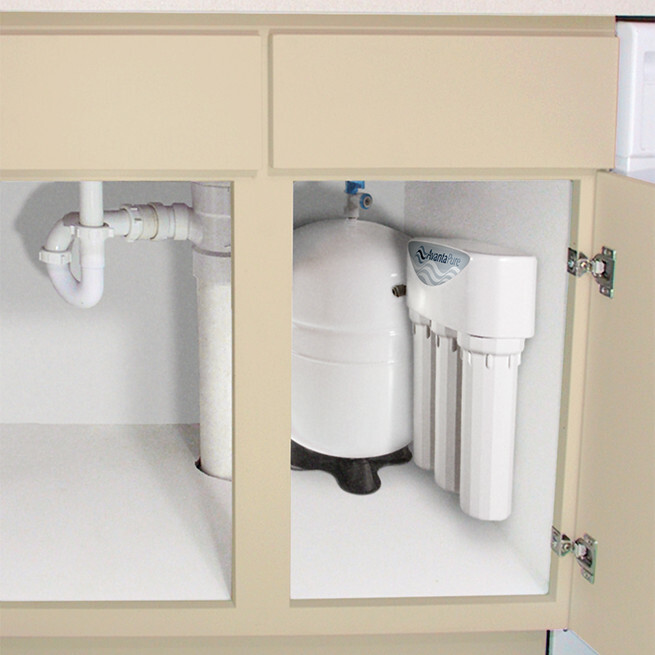 Your AvantaPure RO automatically turns off when the storage tank has been replenished, and its space saving design is ideal for underthe-sink installations. With its high-performance Thin Film Composite membrane, AvantaPure’s RO filtration cycle can keep up with your household’s demand, providing an almost limitless supply of clean, crisp drinking water. Filters for the AvantaPure RO come hermetically sealed inside their housings. 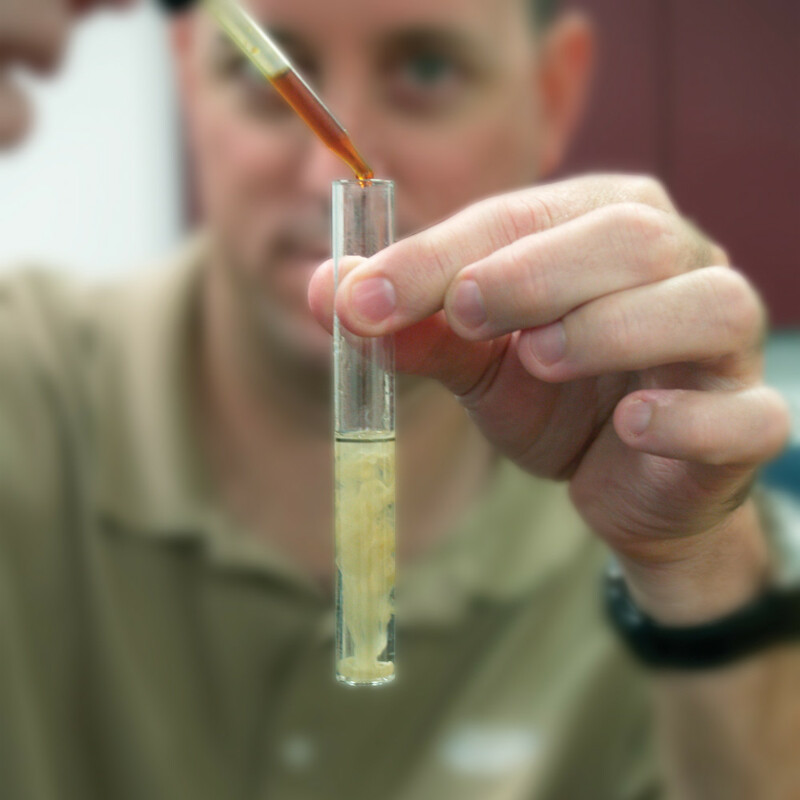 Because the filter never comes into contact with any potential bacteria source, filter changes are always sanitary. Tested and Certified by NSF International against NSF/ANSI Standard 58 for the reduction of the claims specified on the Performance Data Sheet. *For specific system production rates, refer to the AvantaPure Drinking Water System Model RO-450 Performance Data Sheet. 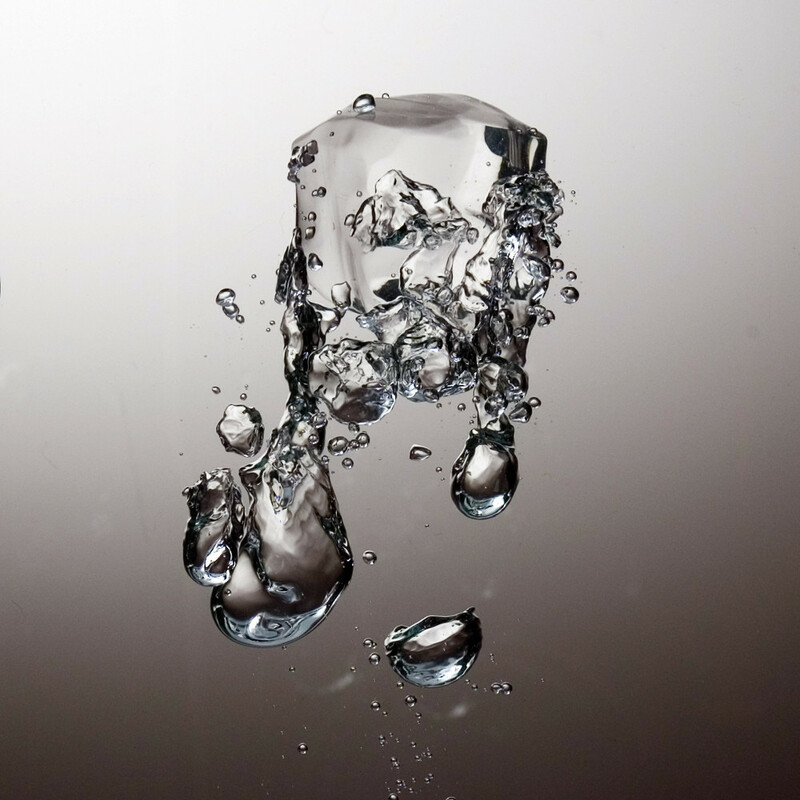 **Purified is defined as water quality that has been substantially improved beyond its original state.